Come meet the author of a simply scrumptious new read by Melanie Haupt. 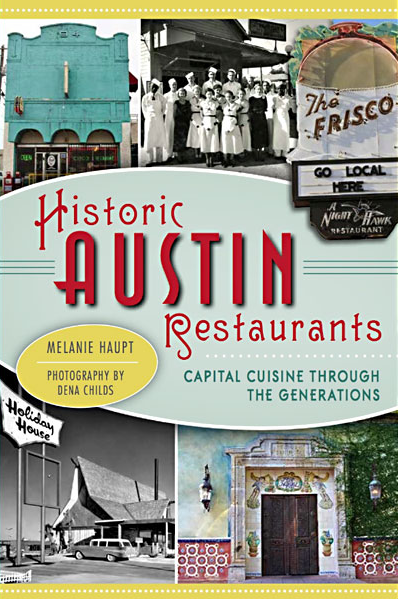 Her new book, “Historic Austin Restaurants: Capital Cuisine Through the Generations,” is an Austin foodie’s dream, featuring everything from Franklin Barbecue to Scholz’ Beer Garten, including stories about the evolution of restaurant culture and the history of iconic Austin joints. With vintage shots and new photography by Dena Childs, it’s also a visual feast.